Found Mold? Get help fast! Add your name and phone number and we will call you right away. A visual inspection is a common method used to inspect both residential and commercial buildings to determine if there is a presence of mold ( such as green, blue or black mold ), as well as moisture, leaks or asbestos. If you are noticing something different on your property, such as black spots, yellowish walls, etc, you are probably dealing with mold. But, until a trained technician confirms it you will not have the rea diagnose of your home. 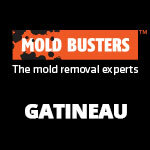 That is exactly what Mold Busters are here for. 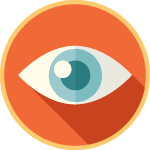 Visual inspections target the top fears in homes, offices, or on commercial properties. On the other hand, if you don’t see any changes on your property but you are feeling symptoms like cough, rash, or running nose, in most cases you should be worry. These are common side-effects of mold contamination and your first step towards controlling them is a visual inspection by a trained professional. Develop a scope of work. Depending on the case, a visual mold inspection can take anywhere from 20 minutes to an hour, during which time the mold inspector may take air quality tests, an infrared scan, moisture and humidity readings, or surface samples of the suspected material. If you want to learn more about these tests before you consult an expert, we recommend you reading our Blog where you will, not only find more about these tests, but about mold in general. Mold Busters experts are top of their class and constantly working on their professional development to be better able to find the root causes of your problems. 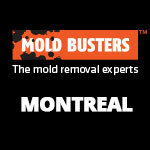 Mold Busters experts are trained to find the cause of mold, mildew, asbestos, nasty odours, leaks, radon, and much more. Don’t wait until the problem becomes too big for your budget. 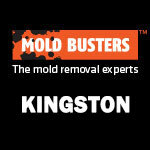 Book your mold inspection and let Mold Busters experts help you deal with your moldy problems. We offer same-day visual assessments in Montreal and Ottawa, and beyond. The full list of locations you can find here. What’s included in a visual analysis for mold? Evaluates possible mold removal options and establishes a scope of work. Beginning visual inspections early on your property is key. Experts are always on the lookout for changes on your property which may indicate a looming mold, moisture intrusion, air quality, or water damage problem. Carrying out regular mold inspections in your home or office is extremely important because detecting mold early makes the removal and remediation process much easier (and cheaper!). If mold problems are left unaddressed, they will significantly reduce indoor air quality and your overall quality of life. Visual inspections by trained mold experts are your best start. Our inspectors are trained to look for mold and its sources like moisture, water damage, or leaks. 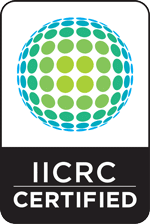 Upon completing a visual inspection, an official report is available on request. In addition to visual inspections, Mold Busters offers other related services to fit any situation. Should you choose to go with Mold Busters, you can also access the latest technology to scientifically measure the air quality on your property. Our focus is on having reliable data available for you, so you can make the best decisions for the health of your property. That’s why we only test samples at accredited labs. 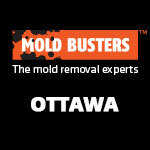 Contact Ottawa and Montreal’s certified inspectors to see how we can help you. Copyright © 2005-2019 Bust Mold Inc. All rights reserved . Made in Canada.